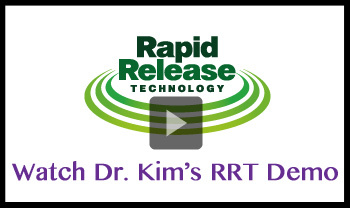 What is Rapid Release Technology (RRT)? It is a breakthrough in scar tissue removal and works amazingly well on tissues that are tight, painful, and rigid by targeting the scar tissue in the muscle that causes tension, hypertonicity, triggers points, and restricted range of motion. The way that this machine works is so unique and so effective, it will be sweeping the nation and providing many people with the relief that they have been wanting. Basically , RRT is based on the fact that scar tissue is much more brittle and unable to maintain it’s structure against rapid force. Like a wine glass (the scar tissue) and the Opera Singer (RRT machine), it shatters the scar tissue restrictions while maintaining and softening muscle tension and surrounding tissues. If you would like a consultation to see if RRT combined with our other Scar tissue techniques can help you, contact us to schedule an appointment. We would be honored to help you break through the pain and limitations that you have been feeling.